A new ratings service, now just a year old, intends to usher in “a new generation of luxury hotel ratings” with reviews that are more objective than subjective and not subject to being influenced by advertising or other types of compensation. Unlike many ratings systems which can be skewed by a company having a direct financial interest in bookings, Gervois Hotel Rating reviews each individual hotel “professionally and independently, without any preconception about the property,” according to its founder, Pierre Gervois. “Most of existing hotel rating and reviewing systems [produce] overly positive ratings and an inflation of stars, diamonds, laurels, gold medals and awards that do not always reflect the reality,” Gervois said. Publisher of the luxury travel STC magazine which targets the new generation of very affluent Chinese global travelers, business people, and influencers, Gervois has extensive experience in luxury hotels. He has reviewed numerous properties around the world over the last twenty years, and had experiences that frequently differed from published ratings and reviews. 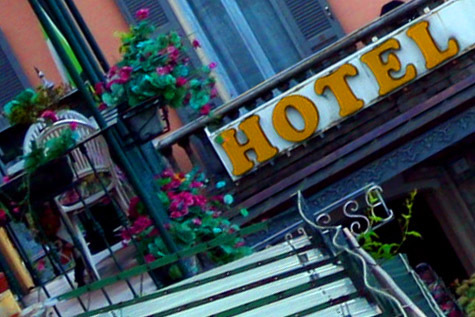 “Too often, there is a tendency to give too generous ratings to hotels members of luxury hotels chains, and to underrate independent boutique hotels,” he added. Based on his observations, experiences and high expectations for excellent service, Gervois created a hotel rating system that will evaluate each property based solely on the merits of the individual property, considered alone, regardless of its association to a hotel chain, an affiliation program, other rating systems, or online reviews. After all, while one can expect a certain level of sophistication and service from any given hotel chain or group, each property is unique in many ways, and some may fall short of the brand's standards. Others many indeed embody the luxury and service standards of the brand but be judged less than ideal because of their location. The Gervois Hotel Rating employs five essential criteria: Location, building, atmosphere, dining, and service. Each criteria is measured on a 20 points scale, and the five scores are totaled to arrive at the property’s final rating. While any rating system is, to a degree, subjective, Gervois Hotel Rating has a set of objective standards by which each of the criteria is evaluated. A perfect hotel location is in the heart of the city, within walking distance to places of major interest, close to the business district, fine dining restaurants, museums, theaters and luxury shopping. All taxi drivers know the address of the hotel. For resorts, a perfect location is in an unspoiled natural environment with breathtaking views on the nature without any other buildings obstructing the view. Gervois Hotel Rating has a stated preference for historic buildings but also evaluates newer structures. Historic buildings should have significant architectural interest, perfectly restored architectural details, and have a commanding presence from the street. The rating system values buildings which are truly part of the city and have a story to tell their guests. For example, it considers whether noteworthy political or artistic events happened at the hotel. Did politicians, artists, and influencers stay at the property? 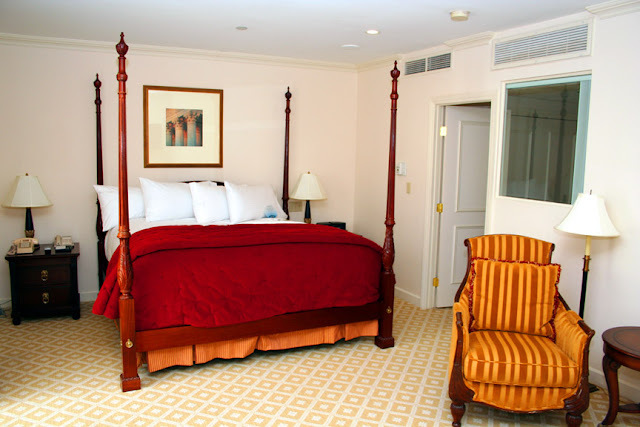 An excellent example is the Willard InterContinental in Washington, D.C. Located just steps from the White House, it was the after-work watering hole for President Ulysses S. Grant. The Willard InterContinental enjoys a place among Gervois Hotel Rating’s recommended properties with a score of 87 out of a possible 100 points. When reviewing modern buildings, it considers the use of sustainable technologies and recyclable materials. It looks at how well it interfaces with its urban environment or the natural surroundings. Finally, it evaluates the property’s amenities, including the swimming pool, spa, rooftop terrace, and other features. Perhaps the most subjective area to evaluate is the atmosphere. For its ratings, Gervois looks for an intimate ambiance and the feeling of being received as friends in a private mansion. It considers all the combined elements that communicate sophistication: Refined interior decoration; either authentic vintage furniture or designer contemporary furniture in the lobby, depending on the type of property; original art pieces; original flooring and ceilings. Fresh floral compositions that are changed daily contribute to a pampered atmosphere. Guest rooms should offer intuitive, simple and easy to use technology. Complimentary high speed Wi-Fi should be available in all areas. And, of course, absolutely every place in the hotel should be spotlessly clean. The quality of the food and beverages should be consistent across all areas of the hotel: breakfast buffet, all restaurants, bars, in-room dining or pool bar. Absolute freshness of seasonal ingredients is critical. Dining venues must offer a modern take on classics, with a subtle sophistication in the plating. The wine and spirits list should show a deep understanding of pairing with the restaurant’s specialties. Reviewers also evaluate whether dining venues use elegant chinaware, glassware and silverware. Other dining-related amenities can include a cigar bar with a large selection of imported, hand rolled, premium cigars stored at the right temperature and perfectly humidified. Dining ratings also extend to the guest rooms, which should all be equipped with premium coffee machines and premium tea bags as well as a good selection of spirits. A warm welcome without pretension or arrogance is expected, such as the welcome I received and wrote about after visits to the Hotel Rosewood Georgia in Vancouver, B.C. and the München Palace in Munich, Germany. Good service should be discreet, yet simultaneously friendly and professional. Guests should be greeted when entering and leaving the building, and by name when possible. The rating service appreciates diversity in the staff and condemns discrimination on virtually all levels, including the guests’ perceived social status. In these times of tech millionaires and even billionaires, treating guests by their outward appearance could be hazardous indeed. Imagine ignoring a Millennial who showed up in a hoodie and jeans, only to learn that you’d just blown off Mark Zuckerberg. As noted earlier, each category has a potential rating of up to 20 points, for a possible total as high as 100. Hotels earning 70 points or more will be listed in the ratings; those with scores of 69 or lower will not be listed, as Gervois Hotel Rating will not rate hotels that it would not recommend, a refreshing change from many sites that publish the good, the bad and the ugly. Specifically, the highest-rated hotels will be those of “[I]nternational historic importance in a perfect location with the utmost level of sophistication in interior decoration and atmosphere, world-class fine dining options and flawless service.” Those properties will have a rating of 96 points or higher. 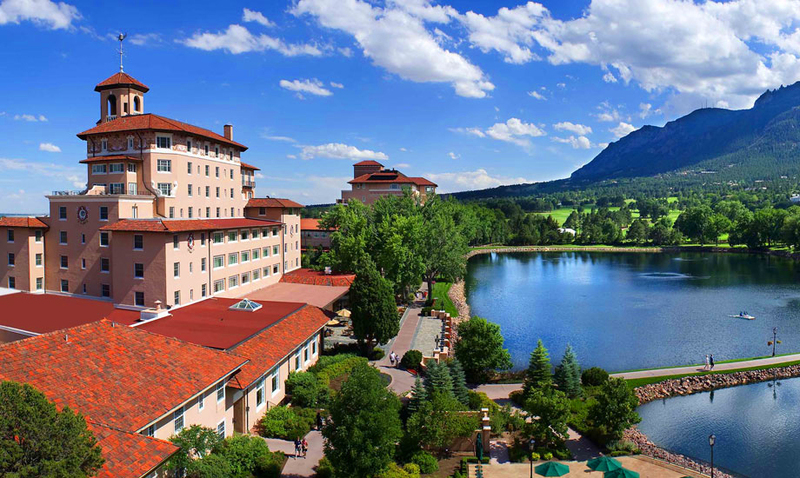 The Broadmoor Resort at the foot of the Rocky Mountains in Colorado Springs is currently the service's top-rated hotel, with 93 of a possible 100 points. Ratings of 86 to 89 mean the property is a highly recommended hotel with an enjoyable luxury feeling, offering a premium customer experience. 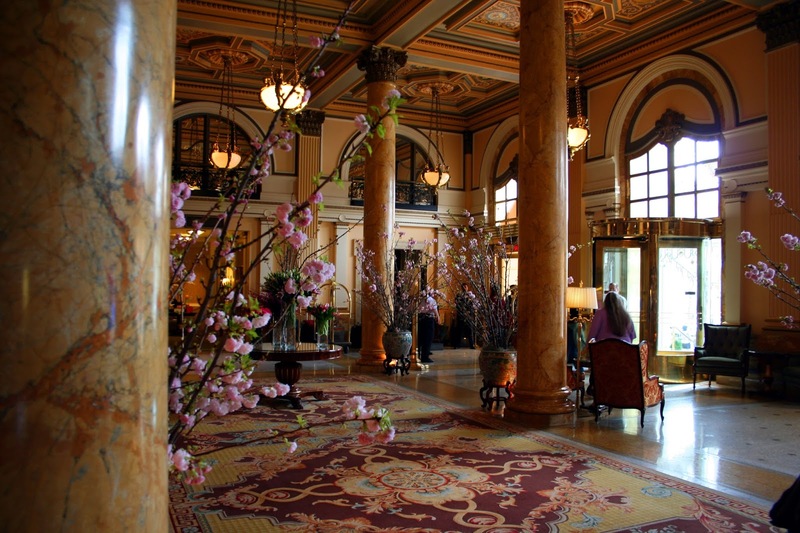 “One of the very best hotels in its city,” according to the company. Properties with ratings between 80 and 85 points are considered recommended hotels that will deliver a great overall customer experience, but which can have one minor, easily correctible, deficiency on one of the rated sections. Hotels with ratings in the 70s are quality hotels that provide a good overall customer experience, but that need substantial improvement in one or two of the rated sections. Over its first year, Gervois Hotel Rating has curated 84 U.S. properties in 46 cities through inspections conducted by a small group of international frequent travelers. Those results were then reviewed and validated by Gervois himself. While fewer than 100 properties may represent a modest start, think Zagat’s Restaurant Ratings. Founded by Tim and Nina Zagat in 1979, its initial focus was on restaurants in New York City. When it sold to Google in 2011, Zagat had established a trusted and well-loved brand the world over, operating in 13 categories and more than 100 cities. Finally, Gervois Hotel Rating is independent and is intent on staying that way. It does not receive commissions on hotel bookings, does not sell travel packages, is not affiliated with any travel agency or hotel booking company, and does not accept advertising from hotels or hotel chains. “We are on the discerning traveler’s side,” the company’s website says.